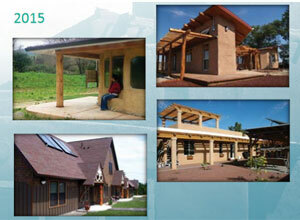 No-cost technical assistance with tribal energy planning; housing, building energy efficiency, and resilience; project development; village power; and policy and regulation. ​Green building, also known as sustainable design, can assist tribal communities to reduce the impact of construction on the environment while protecting the health, livelihood and culture of tribal residents. Native Americans were the first green architects and builders of the Americas, and traditional Native American building designs and practices are sustainable. State and local building codes do not apply on tribal lands, but tribes have the authority to adopt their own.